Pretty people and bulging biceps as far as the eye can see. 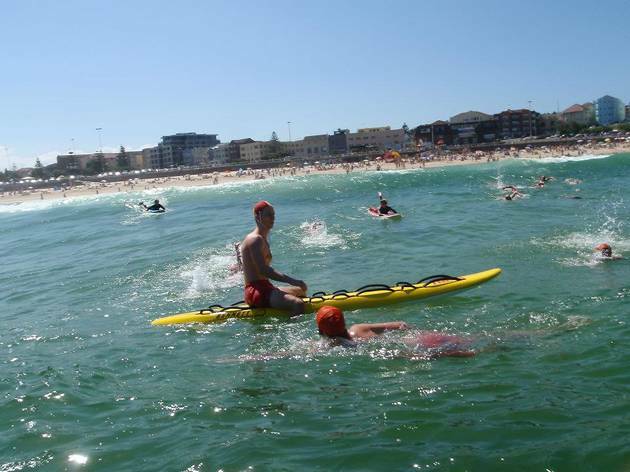 North Bondi is where the locals go to swim and hang out, leaving the main stretch of Bondi Beach to the visiting tourists and backpackers (whom the life guards and savers are also busier rescuing). 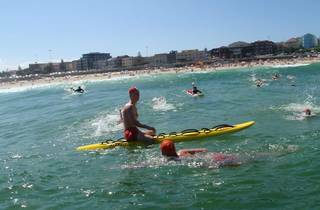 The beach is looked after by the good folks from North Bondi Surf Life Saving Club. It's also a verrry popular spot with the boys, who tend to show off their gym efforts with aplomb here all year long, and especially on hot, summer days, when this area is jam-packed with glistening, muscular bodies in the smallest budgie smugglers you can imagine. Not for the insecure (or the pale).